It's almost time for the 4th of July. Time for picnics, cookouts, parades, and fireworks. 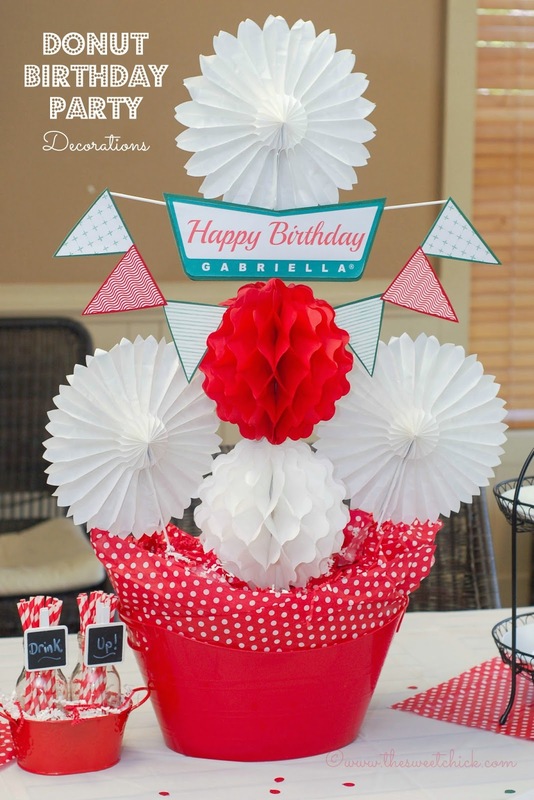 Why not make some cute treats with the kids to celebrate. 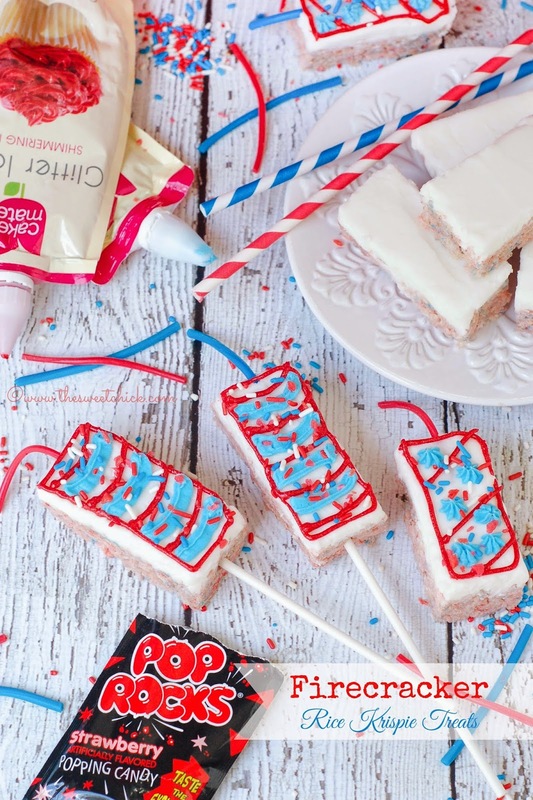 There is lots of fun packed into these Firecracker Rice Krispie Treats. They are full of strawberry marshmallows, sprinkles, colored frosting, blue and red Twizzlers, and Pop Rocks. Kids will enjoy decorating and eating these. Well, since the decorations for my daughter's birthday party came out even better than anticipated, I thought I'd share a few more photos. Since we now live down south, I thought a "Krispy Kreme" theme would be appropriate for the party and my daughter agreed. I found so many great ideas on Pinterest for decorations. The colors are what drew me in, maybe because they remind me of Christmas. Everything was fairly simple to put together, my daughter helped out with a lot of small details. You know you are a food blogger when you spot a new dry cookie mix at the store and your first thought is not making cookies, but what you can make with the mix itself. 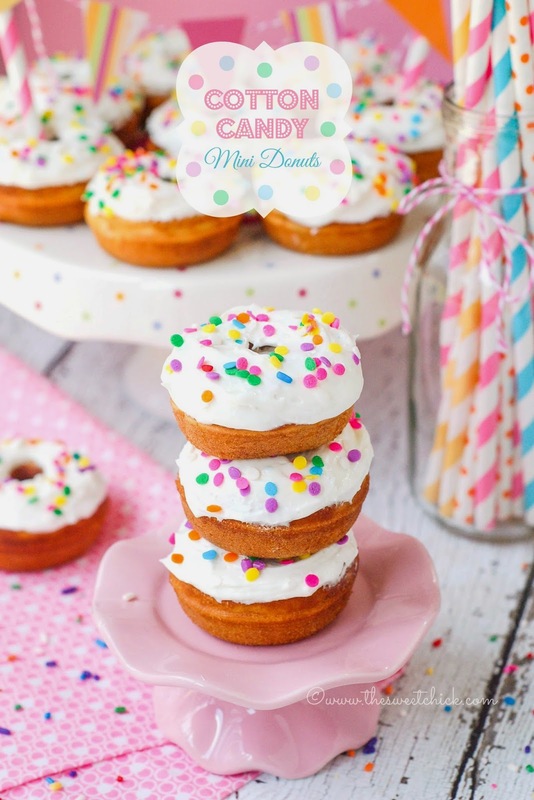 Yep, I used cotton candy cookie mix to make these Cotton Candy Mini Donuts. And they do really taste like cotton candy. 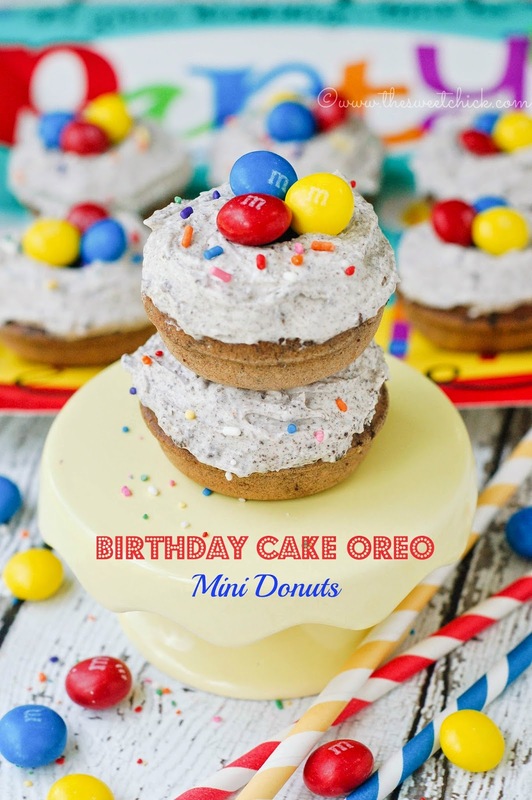 I made these along with Birthday Cake Oreo Mini Donuts for my daughter's birthday party the other week. Kids and adults alike loved them. Last weekend we celebrated my daughter's 8th birthday. The theme this year was donuts. I made four different types of mini baked donuts including these Birthday Cake Oreo Mini Donuts. If you haven't eaten a Birthday Cake Oreo yet, you have got to try them. They are so good. I used them both in the donut mix and in the frosting. They were a big hit at the party. I even topped them off with Birthday Cake M&Ms to keep the celebration going. 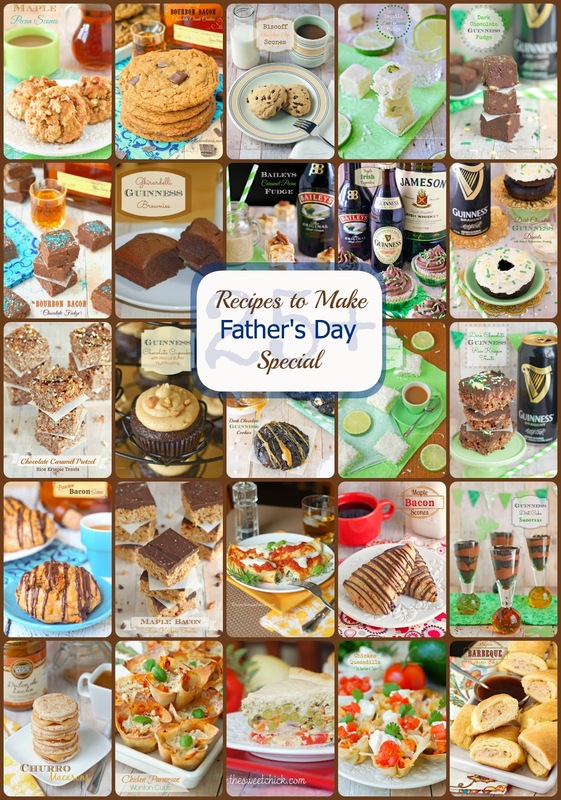 I put together more than 25 recipes ideas for you to make on Father's Day. Whether you and your family are getting together for breakfast, brunch, lunch, dinner, or coffee, I've got you covered. Sometimes making a meal or a treat from scratch makes it that much more special. All right, just one last bourbon recipe for Father's Day. 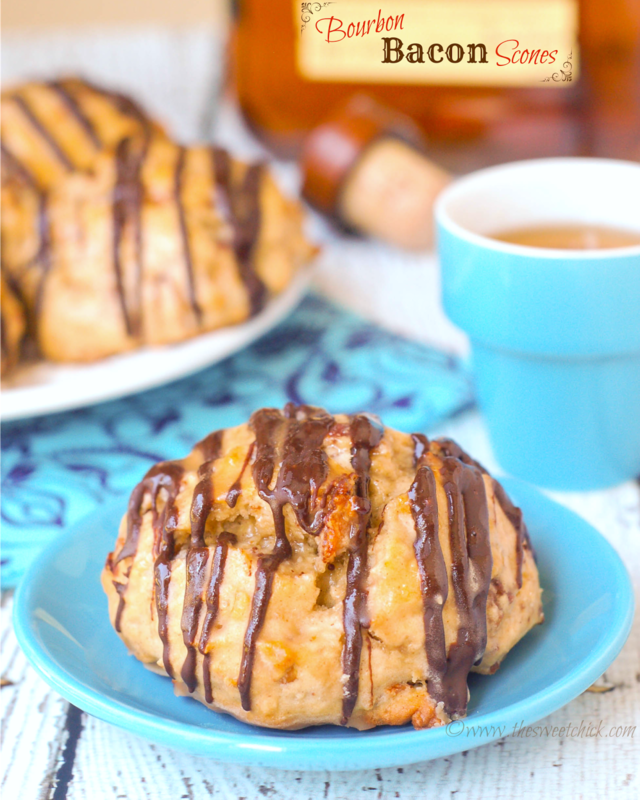 These Bourbon Bacon Scones are not only filled with bourbon whiskey and real bacon, but they are also slathered with a maple glaze and drizzled with chocolate. 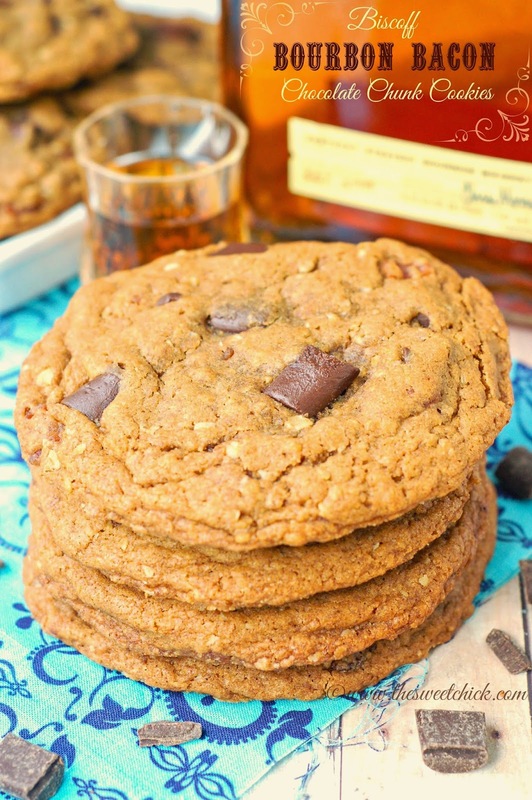 They are not as boozy as my Biscoff Bourbon Bacon Cookies or my Bourbon Bacon Chocolate Fudge , but they are just as tasty and perfect for a Father's Day breakfast or brunch. Father's Day is coming up around the corner. Looking for a manly treat to make for the fathers in your life. How about these Biscoff Bourbon Bacon Chocolate Chunk Cookies? They are huge in size and flavor. They are packed full of Biscoff Cookie Spread, Kentucky Bourbon Whiskey, Boar's Head Natural Smoked Bacon, and Nestle's Semi-sweet Chocolate Chunks. Need I say more? The Sweet Chick is licensed under a Creative Commons Attribution-NonCommercial-NoDerivs 3.0 Unported License. Copyright © 2011-2015 The Sweet Chick - All Rights Reserved. Simple theme. Theme images by Jason Morrow. Powered by Blogger.